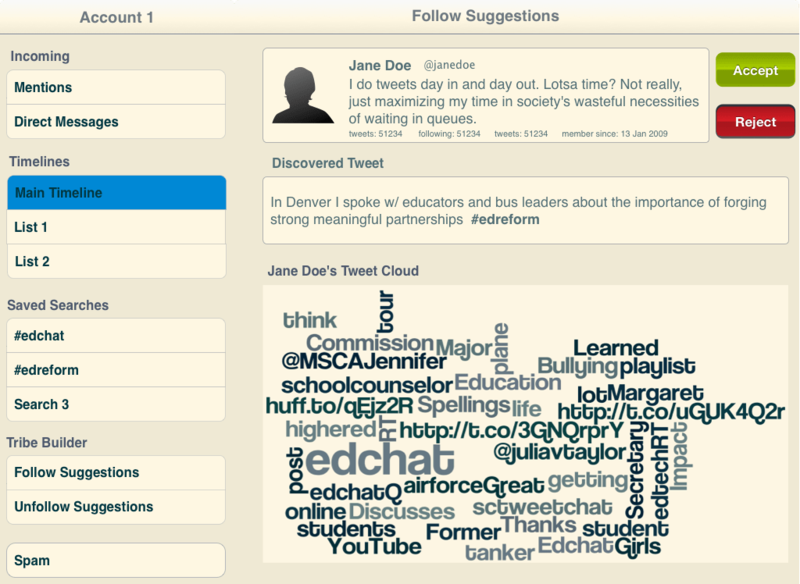 Resonate is our upcoming Twitter client for educators and other thought leaders. It will likely be an iPad application, at least it will start that way. Why iPad? The tablet has been getting traction in Education lately, and some schools are beginning to adopt is to replace textbooks. Moreover unlike a laptop, a tablet can be used while standing up thus works nicely when commuting or while dealing with students. Here I post some mockups of how Resonate will look like. These mockups have evolved a bit from the wireframes I’ve posted earlier. The color scheme is Solarized Light, which I found that more pleasing to the eye than the standard black-on-white colors. Resonate uses the e-mail application paradigm so that prioritizes mentions and direct messages, unlike what most other Twitter clients do. 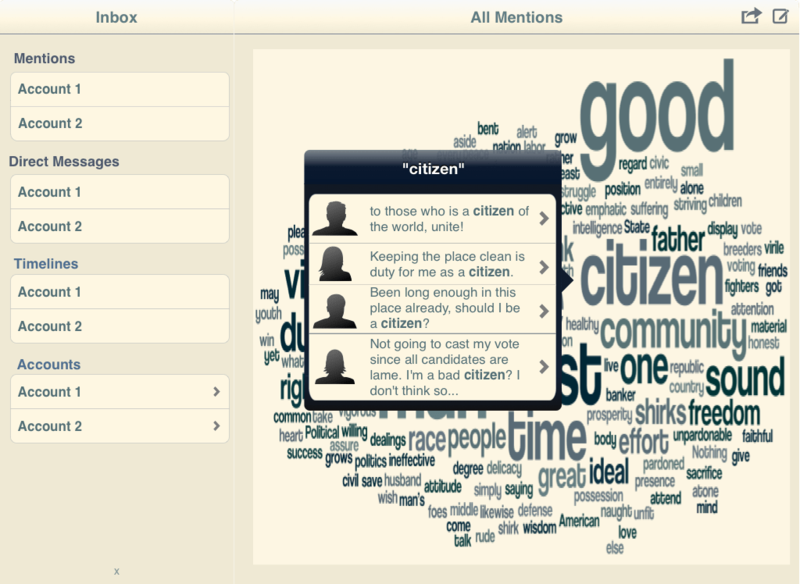 Thus the starting screen lets you go directly to your @mentions or direct messages. Word clouds are the center of Resonate’s primary appeal. 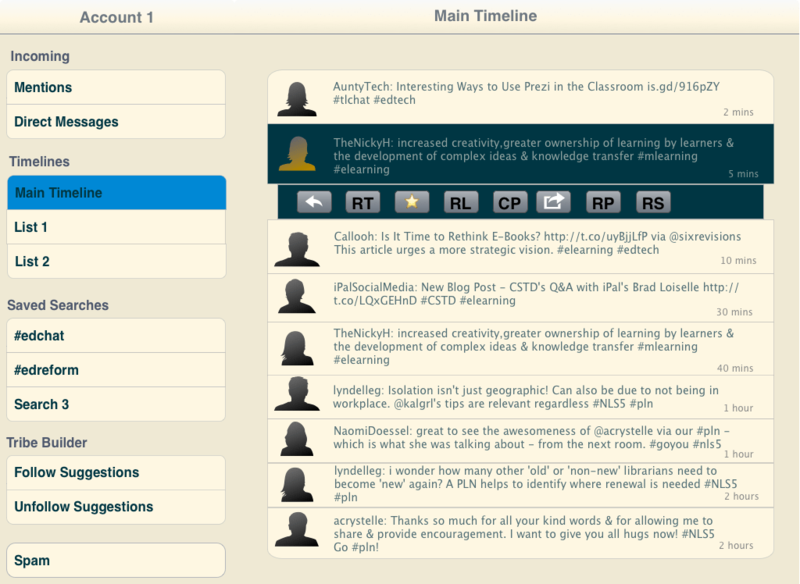 This way you can quickly discover the rising trends in your personal learning network. 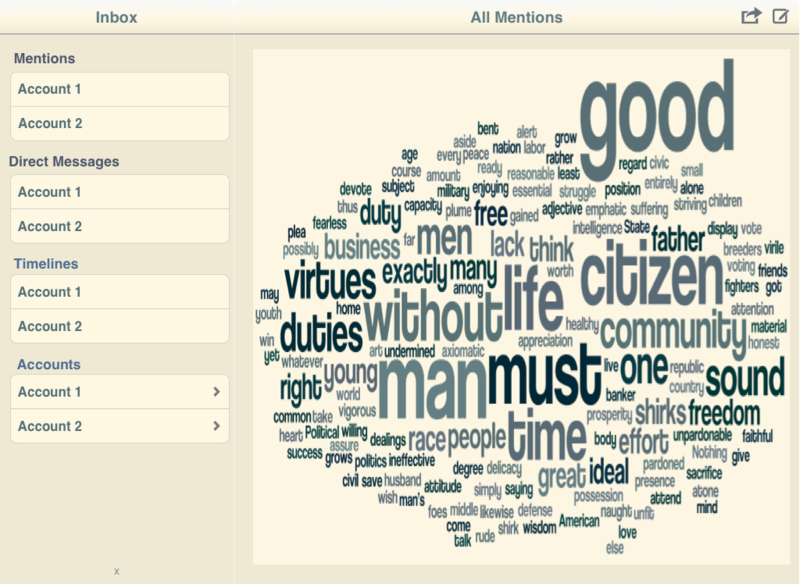 Tapping on a word in the word cloud display all tweets that contains that word. 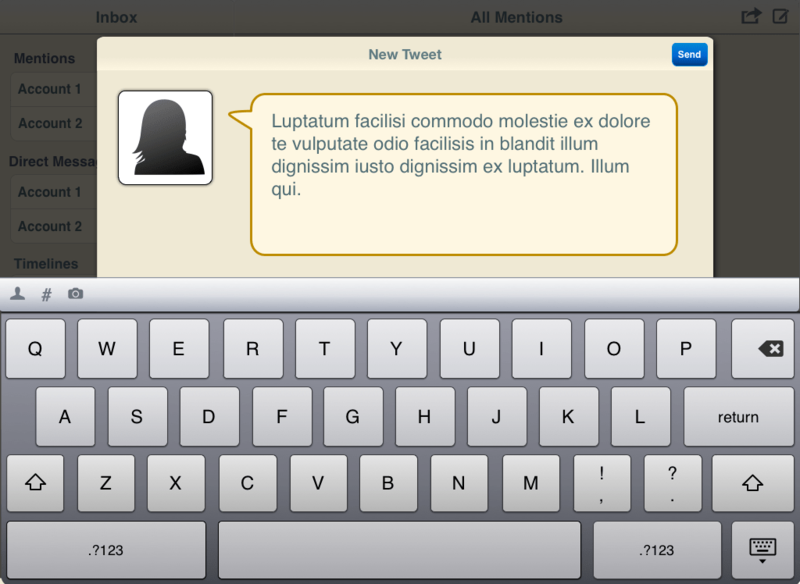 Composing a tweet have been changed from a popover into a full-fledged modal dialog. This is so that you can focus on what you say when you are writing your tweet without other user interface elements distracting you. The Tribe Builder suggests people that you follow based on your twitter search results. The person’s profile is displayed along with his or her tweet cloud, thus you can quickly see whether this account is worthy of your follow. Of course, I didn’t left out the traditional “list of tweets” timeline display. So that’s all what I have currently on Resonate. Please let me know what you think of it in the comments.